An updated radar estimated rain total map for Harvey. Is Harvey an unusual storm? What was the meteorology behind it? The formation of Harvey wasn’t unusual in any way. Hurricanes need, among other things, weak upper level winds and warm ocean water to develop. These ingredients are found in abundance in the Gulf of Mexico in August and September. The fact that a category three or greater storm hasn’t made landfall in well over 4300 days in the U.S. is actually rather anomalous. All tropical systems making landfall have an almost given capacity to produce 10-20″ rain totals. What regulates this total is forward motion of the storm. 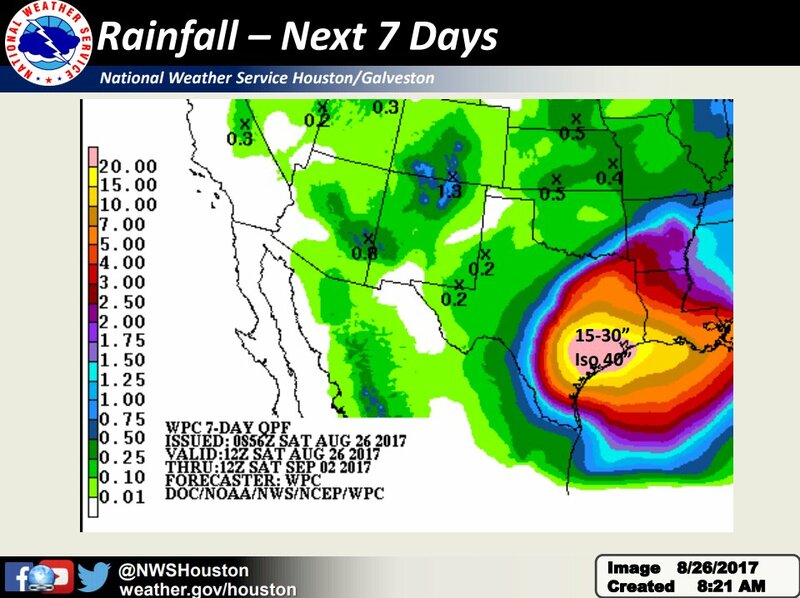 In the case of Harvey, it is the almost complete lack of motion which caused the rainfall totals to more than double. Slow or stalled weather systems occur when the upper level winds which steer them are either weak or aligned in a way which favors circular motion which is exactly the environment Harvey slammed into. Now as a meteorologist with a lot of experience covering all types of severe weather events, the one thing that sometimes fails is the message of impact. At some point, rain total numbers are meaningless to the population without an analysis of how they will specifically impact an area. 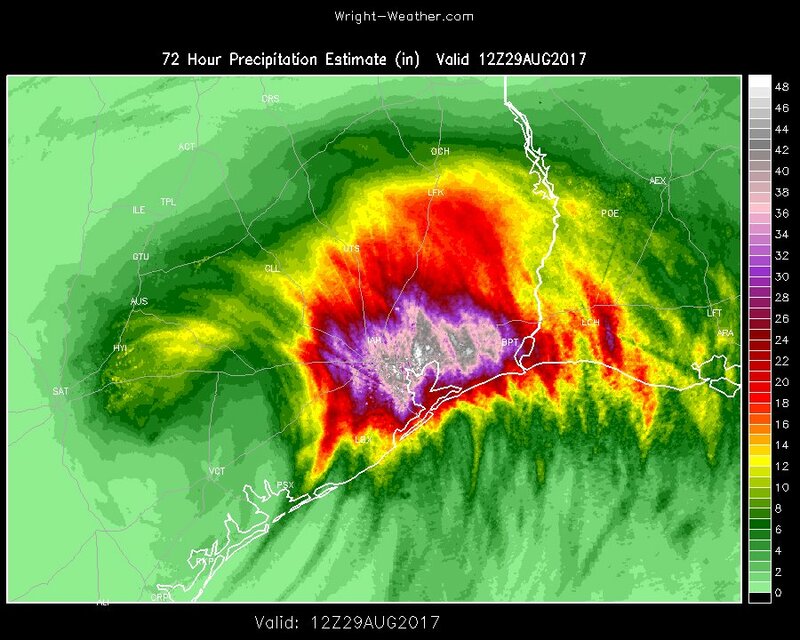 Houston has a history of being crippled by rain totals far less then what Harvey produced. ANY large metropolitan area subjected to two feet of rain in 24-48 hours is going to have issues! In part three, I’ll write a little about the unusual aspects of the Houston area which make it more susceptible to flooding during heavy rain events. BREAKING: National Weather Service: Cedar Bayou, Texas, records 51.88 inches of rain from Harvey; new continental U.S. record.